I was looking to shut down my technical recruiting business because I really hated recruiting. Seriously hated it. My category of recruiting was to work with companies that needed software engineers. I would have to find the companies to work with, strike an exclusive deal with them, then find software engineers and strike an exclusivity deal with them. Then match them up. Ugh. Problem was that most of them were willing to lie and not give you exclusivity and you’d end up competing with other recruiters for the same candidates and for the same company. It was a waste of time and very insulting. So, I wanted to bail and find a business that I could do on my own. And I wanted to be able to protect myself from the liars and cheats that I could see in business. I found the concept of generating internet leads to small, local businesses. It was about doing marketing that they could not do for themselves. Mostly. Sometimes, it was not that they couldn’t do it themselves as much as it took too much of their time to do it for themselves. I started doing the work for typical service businesses that could use the help: carpet cleaners, towing companies, plumbers, window tint installers, etc. I found that this was okay but I was seeing too many of my counterparts trying to make a living in the same market. I simply prayed to run into a niche that would be my own. A niche where I would really enjoy the personalities of the company owners. A niche where the market was not already flooded with people doing the same services as me. I knew that if I found a niche like that – I’d have a head start in becoming the marketing leader for that niche. Then it happened. On Facebook, someone that I casually knew from talking about life and politics reached out to me about my marketing business. The guy’s name was Michael and we chatted by IM for about 20 minutes before we put together a phone call and talked about his challenge. Michael told me that he’d paid $5000 for a website and was getting 1-2 leads for new business per month. He said he was also paying $250 a month for SEO services which seemed to not be working. When I asked what his business was, he told me that he had a restaurant hood cleaning business. I didn’t tell him, but at the time he told me about his hood cleaning company, I didn’t have a clue what hood cleaners did. I didn’t ask him to explain it – I simply asked him to send me a link to his website and I said I would do a competitive analysis and layout a blueprint for him to move forward and fix his marketing issues. I told him that the blueprint would cost $500. I also told him that if I saw no ways to fix his online marketing issues – I’d give him back 50%. He agreed and used Paypal to send me $500. Then I did a deep dive into the world of restaurant hood cleaning and into his local market, and then into his marketing issues. My analysis got me really excited about his hood cleaning business. He was in a pretty large market. He had a terrible website, and he was a guy that was anxious to do a lot more business in his local market. My deep dive did not make me an expert hood cleaner, but it certainly allowed me to see how they market their services, the profitability of their companies, and how I could leverage the internet to generate commercial kitchen exhaust hood cleaning leads that could quickly convert to new clients. I went back to Michael and explained my findings in a screencast video. I was able to show him the issues with his website (not how it looked, but why it did not make his phone ring). Also in the video, I covered how search engines worked and how all of his competitors were ranking far better than him in the search engines. The other portion of my hood cleaning digital marketing blueprint was to lay out the steps to fix his website and how to get it to rank in the search engines with the final result being that his phone would start to ring with calls coming from restaurants that needed immediate hood cleanings. Michael truly appreciated the report and told me that he’d rather pay me to get him the results rather than follow the hood cleaning digital marketing blueprint himself. So we agreed to a reasonable monthly investment and I went to work. Within 90 days, we generated 120 phone call leads for hood cleaning. Suddenly Michael’s business became really strong in the market and further success was imminent. Ranking #1 in Google for 25+ keywords & phrases related to restaurant hood cleaning. After our hood cleaning, digital marketing blueprint had been in place for about 6 months, Michael told me that what I had done for him and his business would allow him to retire someday. I was excited for him and flattered that I was able to help him to achieve this. The other day, Michael invited me to come to spend a day with him. We went tailgating at a college football game and then attended the game. While we were together, Michael told me that he was in a position where he could sell the business for a healthy profit or he could keep it and turn it over to his lead hood cleaning technician to run and split the profits with him. He says he’s leaning to the latter choice because he really wants to stay involved and mentor the kid. So, in the course of those few years of working with Michael and his hood cleaning company, I had also started working with other restaurant hood cleaning companies nationwide. My hood cleaning digital marketing blueprint is now being used in companies from Seattle to Miami. We have over forty hood cleaning companies on board and we’re adding more every month. Most recently, we’ve been opening relationships with companies in the centre of the country and in the Southern States. I think that our Nashville restaurant hood cleaning client is going to be huge and we just started on that location 30 days ago. But we are looking at the whole state of Tennessee as having massive potential. The amount of Nashville restaurants isn’t as high as some other places we do business but I still feel strongly about it. Our hood cleaning digital marketing blueprint is being perfected every month. Mostly, is this tied to restaurant hood cleaners allows us the insight to make adjustments that improve results for them. So we adjust for our current clients and start with the new adjustments for the new clients that we onboard to our system. One of the things that we’ve learned that can make a huge difference is the way that the hood cleaning companies answer their phones (if the answer them at all). We found through some of our tests, that if a hood cleaning company lets their incoming phone calls go to voicemail, 80% of those callers move onto call the next company on their list and the lead is lost. Our hood cleaning leads are precious. We set it up to get people that have immediate hood cleaning needs. They might have an insurance inspection, or a fire inspection, or a city inspector coming. 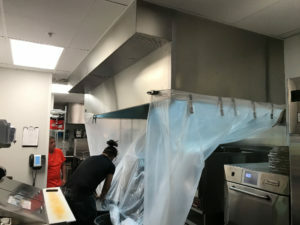 They may have inadvertently neglected their restaurant exhaust hood and hood filters. They are looking for results NOW. So, if the hood cleaning company lets their call to voicemail – they’ve lost their chance to grab this restauranteur as a new client. As part of our hood cleaning digital marketing blueprint services, we’ve also audited phone calls in order to coach owners or their staff on how to answer the phone correctly and to land more business. These audits have taught us a ton and helped to increase profits by massive amounts. The mistakes we’ve seen on initial phone calls would shock you. We recently had a client tell us that they were giving up on using the internet for leads because their salesperson could not close any internet leads that came there from the restaurant hood cleaning website. So they would not invest in our program. We offered to do a phone audit and listen to the incoming calls to their company. We recorded calls for 30 days and listened to every call. We found that the potential hood cleaning clients were not the problem. They had set themselves up to fail by putting someone completely untrained in sales or customer service to deal with these hood cleaning calls. It was a TRAIN WRECK. This person answered the phone like he was being totally interrupted and he took no interest in what these callers wanted. It was painful to listen to these calls. Dozens of wasted opportunities and all it would have taken was to teach this guy how to listen and set up appointments. Instead, 75% of the callers sounded annoyed by him and did not move forward. The rest set up appointments for quotes and never got them. That was no way to make money in hood cleaning. The best way that I explain this to restaurant hood cleaning company owners is simply this – when a lead comes in for hood cleaning, you’re probably dealing with a restaurant owner or manager that’s business lives and dies based on customer service. If you were in their restaurant and the food server acted as though you were an annoyance to your day – what would you think of that restaurant? Would you care if the food was good? Or would the experience be enough to send you to a different restaurant? Now, put that on the front end of the experience with your hood cleaning business. Are you happy to be helpful? Are you really listening to your clients’ wants and needs? Do you have a serving attitude? If you don’t, fix this problem IMMEDIATELY. You don’t want to put a hood cleaning digital marketing blueprint into place and have someone botching all your new phone calls. I have more tips than I can put into one article – so I’m going to close out this article here. I’m glad you found it and read it. If you have any questions, you can email me at [email protected] or contact me through my website at http://hoodcleaningmarketing.com. If you’re in the restaurant hood cleaning business and you want to discuss potential growth for your company, let’s set up a time to talk. I always look forward to these conversations. 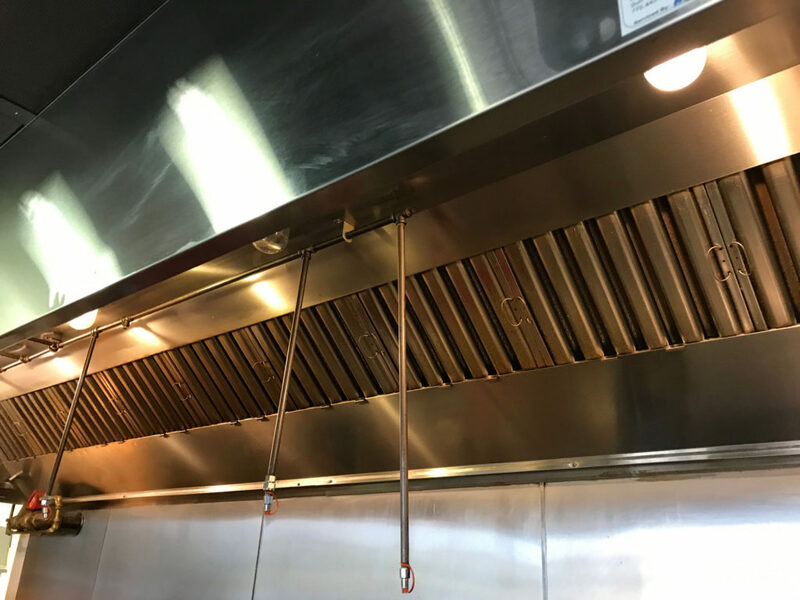 From Wikipedia: Restaurant hood cleaning is the process of removing grease that has accumulated inside the ducts, hoods, fans and vents of exhaust systems of commercial kitchens. 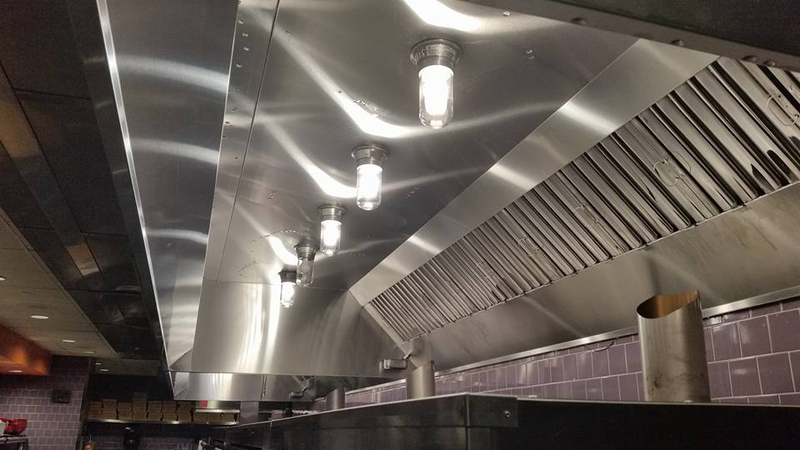 Left uncleaned, kitchen exhaust systems eventually accumulate enough grease to become extreme fire hazards. Exhaust systems must be inspected regularly, at intervals consistent with usage, to determine whether cleaning is needed before a dangerous amount of grease has accumulated. 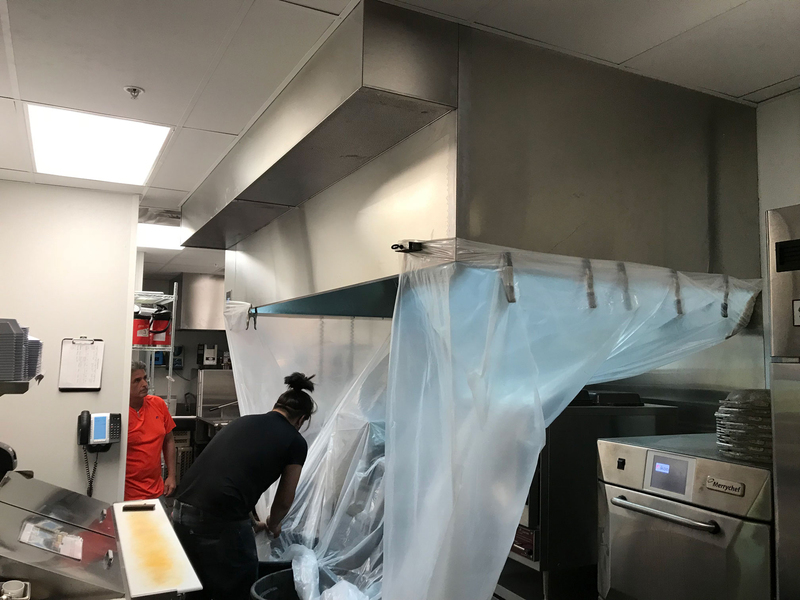 Sometimes referred to as kitchen exhaust cleaning, in the USA, most people in the restaurant business simply refer to this as restaurant hood cleaning and the operators that do the work are restaurant hood cleaners. Formed in 2016 to specifically help restaurant hood cleaning company owners to increase profits and gain back more of their personal time through smart online marketing in order to gain new clients without cold calling. 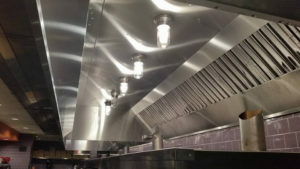 Our plan is to have restaurant managers and owners to call in and request hood cleaning services. Our secondary goal is to retain more restaurants so that their restaurant hood cleanings are scheduled frequently for retention and a solid, profitable relationship. Thank you to https://www.americasbestwaukegan.com for allowing me the opportunity to guest post about my business passion!